WASHINGTON, D.C. – Today, U.S. 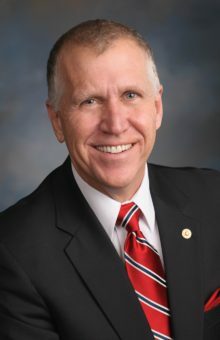 Senators Thom Tillis (R-NC) and Jeanne Shaheen (D-NH), co-chairs of the Senate North Atlantic Treaty Organization (NATO) Observer Group, issued the following joint statement in response to the Greek parliament’s vote ratifying the Prespes Agreement, which recognizes the renamed Republic of North Macedonia. The agreement ends a 27-year dispute between the nations and will allow The Republic of North Macedonia to be included in the next NATO enlargement round and join the transatlantic alliance.